This course provides you with a thorough understanding of Industrial Control System (ICS) and Supervisory Control and Data Acquisition (SCADA) devices and their inner workings. You will learn how to execute cyber missions in which a SCADA environment is part of the greater cyberspace operational environment. By performing incident response on SCADA devices, you will learn in-depth concepts about SCADA devices. CSFI offers unique SCADA training and certification with hands-on labs. The quality of our instructors and course materials are amongst the best in the world. This training can be offered either on-location, or virtually (our virtual webinar platform is Gototraining). The labs require a computer with the most recent VMware and an open USB port. Setup is performed in Lab 1. The lab kits are shipped to and retained by the participant. The exam is open book combined with an active defense challenge. The distance version is a modified version of the live event. Students must complete all hands-on labs to become certified. Each participant will receive 30 days of access after the event. Note: Students must purchase our SCADA KIT (Cost per SCADA KIT: $400.00) before starting training. 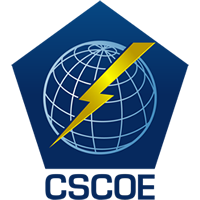 Train how to execute cyberspace operations within a SCADA environment. The training cannot be deployed without the SCADA KIT. ICS training demands superb know-how, unique hardware/software, and a strong hands-on labs experience. The ICS/SCADA training market is growing very fast but there are very few training providers that can actually deliver this form of training. Virtualized operating system providing cyber offensive and defensive capabilities for ICS and IT environments. Leveraging the Raspberry PI with PiFace Digital to represent a variety of control system devices (e.g. PLCs, PACs, MTU/RTU, DCS, Physical Security. Low voltage, kinetic I/O supporting models such as a traffic light, water treatment facility, bottling plant and assembly line.